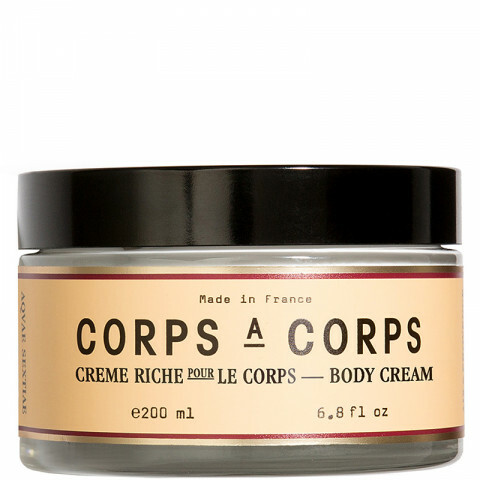 Created for moments of getting close ("corps-a-corps" means body-to-body), this velvety body cream is made with Provence olive squalane, shea butter, and sweet almond extract. The whipped, heavenly texture is soft to the touch and leaves your skin supple and addictively touchable. From weathering rough mistral winds of the Provence winter to dry skin that needs extra love, this body cream gives intensive care. Massage all over or focus on areas that need some extra TLC. Velvety but lightweight, this cream is quickly absorbed because of its natural ingredients that dry, thirsty skin is yearning to soak up (olive squalane is in top notch face creams for this very reason). Breathe. Smile. Get close.